We will research your entire professional history from Undergraduate School to date to obtain information such as mailing addresses and contact information for the purpose of verifying your credentials to the Alabama Medical Board. We are also able to research Medical License numbers, issue dates, and expirations dates. We will assure you professional completion of your Alabama medical license application, as well as professional completion of all letters and forms necessary to request verification of your credentials for the Alabama medical board. Your Alabama Medical License application will be assigned to one file manager in our office who will be your point of contact. You will have continuous access to your file manager during the entire application process. An update on your file will always only be a simple phone call or email away. 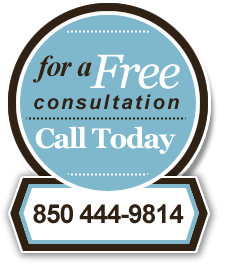 Click here to contact us and learn more about our Alabama medical license service. In addition to the fee of $20.00 to obtain an application packet, there is a $175.00 non-refundable application fee payable to the Alabama Board of Medical Examiners which should be submitted with your application. The initial processing of an application could take a minimum of 8 weeks. The Board meets on the third Wednesday of each month, and the application must be completed three weeks prior to that date in order to be licensed by the fourth Wednesday of that month. All materials that accompany the application must be in the Board’s office by the deadline for any application to be considered complete. For how long is my application valid? All applicants for licensure by endorsement shall have six months from the date the application is received by the Board to complete the application, after which time an incomplete application shall be withdrawn by the Board. To re-apply, the applicant must submit a new application form including a new application fee. Within how many attempts must I pass USMLE Step 3? In what period of time must I complete USMLE Steps 1, 2 and 3? Step 3 of the USMLE must be passed within three attempts. Steps 1, 2 and 3 must be completed within seven years, except under certain special circumstances (dual-degree candidates). The seven-year period is determined on a calendar year to calendar year basis. What if I am licensed in another state and have not had a licensing exam in over ten years? If it has been over ten years since you successfully completed a written licensing examination, and you have been certified by an AMA or AOA-approved specialty board within the last ten years, you should contact your specialty board and request that they submit documentation verifying your certification. If it has been over ten years since you successfully completed a written licensing exam and you have NOT been certified by an AMA or AOA-approved specialty board within the last ten years, you are not eligible for licensure in Alabama until you have successfully completed the SPEX exam. When it appears that the applicant may have committed any of the acts constituting grounds for denial of a license.